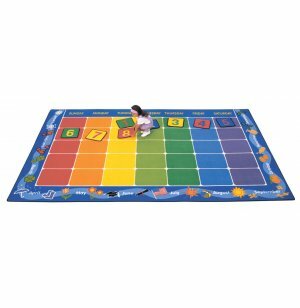 This colorful rug also makes it fun for kids to learn how to count the days of the week and the months of the year! 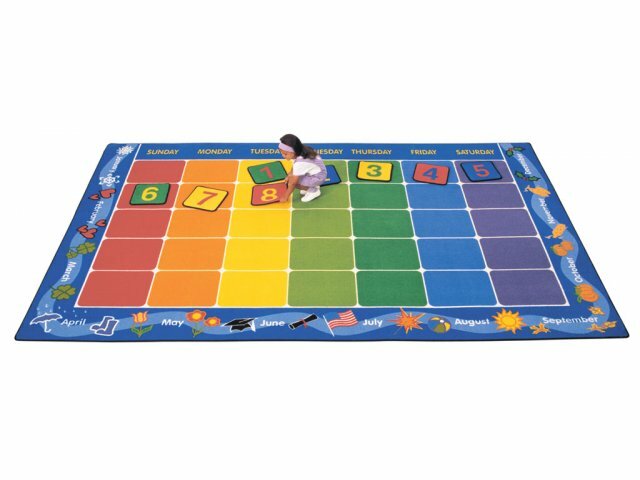 Great for practicing number and letter recognition too! The Optional Calendar Kit (numbers plus four special days) helps denote holidays and birthdays.